Currently, the entire team of Kalank is leaving no stone unturned to promote the film which will hit the silver screens tomorrow April 17, 2019. Recently, in an interview, while promoting the film Alia Bhatt accidentally called her co-star Varun Dhawan as Ranbir Kapoor. Post to which the entire team of Kalank started teasing the actor. Bollywood actor Alia Bhatt is among the leading ladies of the industry who leaves no chance of impressing fans with her versatile roles and phenomenal acting skills. The actor is serving the industry from seven years and leaves no stone unturned to prove herself well in her films. Talking about her personal life, Alia Bhatt and Ranbir Kapoor is one of the most talked about couple in the B-town. The duo not only proved themselves well professionally but also made their relationship official in 2018. 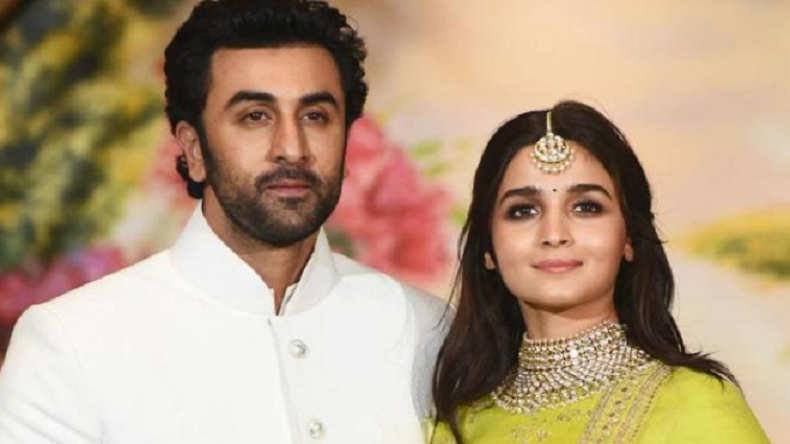 Alia Bhatt has always been very open about her relationship with her beau Ranbir Kapoor and doesn’t hesitate in expressing her love for him. One such incident is currently capturing many hearts on the Internet when the hardworking actor accidentally called Ranbir’s name instead of Varun Dhawan’s name. Recently the actor while promoting her upcoming film Kalank in an interview called Varun as Ranbir. The incident so happened that Varun was playing with Alia’s hair and then Alia accidentally called out Ranbir’s name. As soon as the incident happened, all the co-stars including Aditya Roy Kapur and Sonakshi Sinha started pulling Alia’s leg. Talking about their future projects, Alia and Ranbir will be sharing screens for the first time in Ayan Mukerji’s film Brahmastra. The film is a planned trilogy and also features Amitabh Bachchan and Mouni Roy in a negative role. Alia has also signed Sanjay Leela Bhansali’s film Inshallah with Salman Khan which will hit the silver screens next year. Talking about Kalank, the film is directed by Abhishek Varman and is produced by Karan Johar under the banner of Dharma Productions. Recently, the makers of the film also dropped the fifth song of the film Aira Gaira featuring Luka Chuppi star Kriti Sanon with Varun Dhawan and Aditya Roy Kapur.